Way down to the very south of the country is a small province called Tierra del Fuego, which literally translates to Land of Fire. The first European to arrive on these lands, Ferdinand Magellan, gave it its name since he could see the fire of the Yámana people from the shore. The Yámana (also known as the Yaghan people) were a nomadic tribe of indigenes that lived on the coasts of the south of Argentina and Chile. One of the features that was particular about them was that they wore little or no clothing despite the cold. This is why the fire element was so important to them, and they carried their fire everywhere, even in their canoes, making it a priority to keep it alight in order to keep warm. They had no designated leader and their social structure was initially matriarchal. Later on, it shifted to a patriarchal structure although women played a significant role in their system because they were the only ones who could swim and were in charge of collecting shellfish while the men hunted for sea lions and whales. Another interesting factor of the Yámana people was their language that had a very rich vocabulary and was full of melodic vowels. The records of the language show an English influence, this was due to the many English settlers that populated the area with which they traded. In the 1800’s they were also occasionally taken hostage by the Europeans for stealing and the like, and there began to be a big cultural exchange during that period. 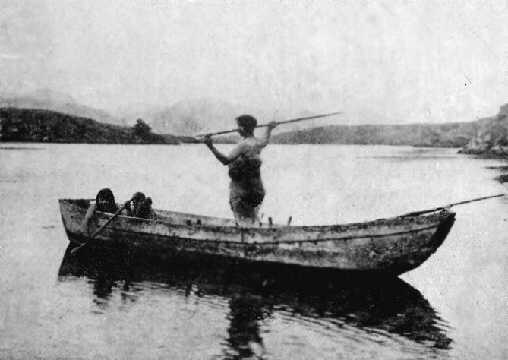 In fact, Captain Fitz Roy took a Yámana man along with three other indigenes from other tribes to England to educate them and later bring them back to the island. The man known as Jemmy Button (Orundelico in his native tongue) became a celebrity as the London newspapers were fascinated with the exotic newcomers. Later Fitz Roy returned to Tierra del Fuego with Button, and also Charles Darwin (who studied the Fueguian tribes) on board. Upon his return, Button reinserted himself with his tribe and taught some of his family English. This entry was posted in Argentine Culture and tagged argentina, english influence, indigenes, languages, South of Argentina, tierra del fuego, yaghan people, yamanas by Fierro Hotel Staff. Bookmark the permalink.